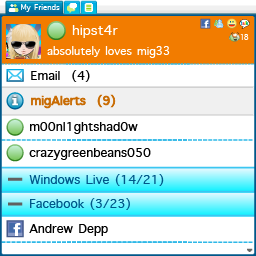 mig33 is the largest social entertainment service that’s fast, fun and social. It’s the biggest party online – because the real world is just not fun enough. 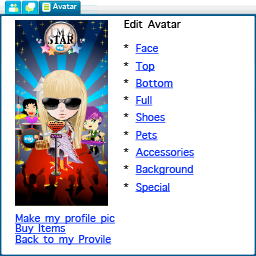 Join the biggest party online that's FAST, FUN and SOCIAL and connect to over 50 million users in our community. 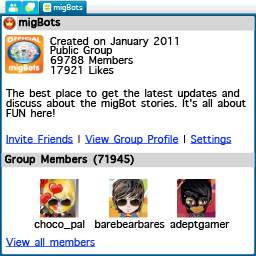 We have hundreds and thousands of chatrooms where you can connect with your old friends and find new friends. Send them virtual gifts to show them how much you care. Our IM integration service pulls in all your contacts from Facebook Chat, Yahoo, MSN, Google Talk and AIM to make your chatting experience much easier. It's all about freedom of expression. 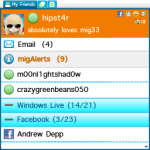 Be who you want to be on mig33 - download and install our small, light and ultra fast app now!